I recently sat down with Steve Kopp, Senior Product Engineer on the spatial analysis team, and Dawn Wright, Esri’s Chief Scientist to talk about what this focus on building a bridge to the R community means for ArcGIS users and other users of R.
Matt Artz: What is R? Steve Kopp: R (aka the R Project for Statistical Computing) is an extremely popular and the fastest growing environment for statistical computing. In addition to the core R software, it includes a more than 6,000 community-contributed packages for solving a wide range of statistical problems, including a variety of spatial statistical data analysis methods. Dawn Wright: R is widely used by environmental scientists of all stripes, as well as statisticians. Since R has limited data management and mapping capabilities, many of our users find good synergy in using R and ArcGIS together. Matt Artz: Does the ArcGIS community use R today? Steve Kopp: Yes, R has become very popular in the ArcGIS community over the last several years. Many in our user community have been asking for a mix of its functionality with our own, as well as better code-sharing interaction with the R community. 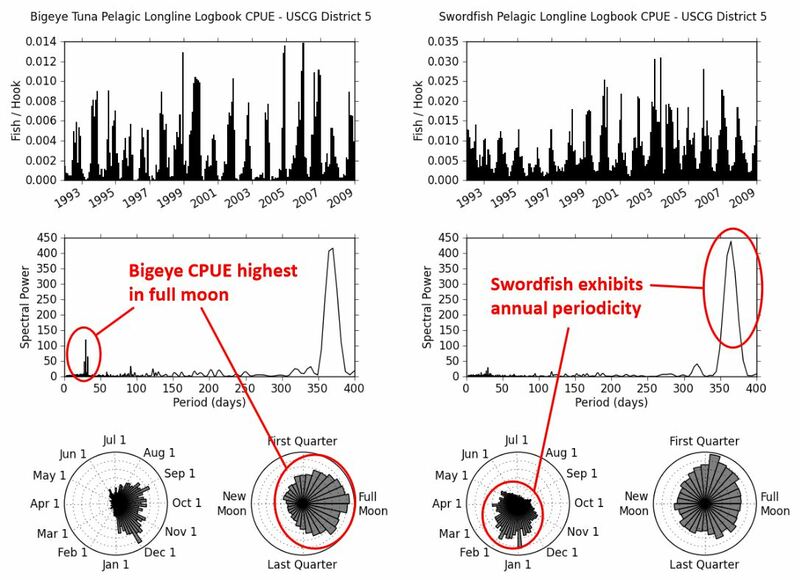 Dawn Wright: A great example from the marine ecology community is Duke University’s Marine Geospatial Ecology Tools, where they have already long since moved forward with integrating R and ArcGIS for Desktop for some time. Duke University’s Marine Geospatial Ecology Tools includes tools for the spatiotemporal analysis of fisheries, and much more. Matt Artz: What is the R – ArcGIS Bridge? Steve Kopp: This is a free, open source R package which allows ArcGIS and R to dynamically access data without creating intermediate files on disk. Matt Artz: Why did Esri build the R – ArcGIS Bridge? Steve Kopp: It was built for three reasons: to improve the performance and scalability of projects which combine R and ArcGIS; to create a developer experience that was simple and familiar to the R user; and to enable an end-user experience that is familiar to the ArcGIS user. Dawn Wright: The bottom line is that this project is about helping our user community and the R user community to be more successful combining these technologies. Matt Artz: So is this initiative just some software code? Steve Kopp: No, the R – ArcGIS Bridge is simply some enabling technology, the real effort and value of the R – ArcGIS Community initiative will be in the development and sharing of useful tools, tutorials, and tips. 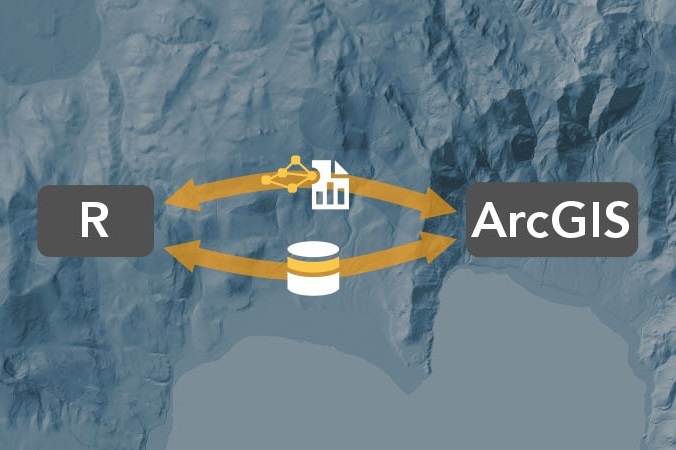 It’s a free, open source library which makes it fast and easy to move data between ArcGIS and R, and additional work which makes it possible to run an R script from an ArcGIS geoprocessing tool. Dawn Wright: This community will be important and useful for R users who need to access ArcGIS data, for ArcGIS users who need to access R analysis capabilities from ArcGIS, and for developers who are familiar with both ArcGIS and R who want to build integrated tools or applications to share with the community. Steve Kopp: The community of tools will be user developed and user driven. Esri will develop a few sample toolboxes and tutorials, but our primary interest is to facilitate the community and help them build what they find useful. Matt Artz: How do you see the ArcGIS community using the R – ArcGIS Bridge? What does it give them that they don’t have today? Steve Kopp: The R – ArcGIS Bridge allows developers with experience with R and ArcGIS to create custom tools and toolboxes that integrate ArcGIS and R, both for their own use, and for building toolboxes to share with others both within their organization and with other ArcGIS users. Dawn Wright: R developers can quickly access ArcGIS datasets from within R, save R results back to ArcGIS datasets and tables, and easily convert between ArcGIS datasets and their equivalent representations in R.
Steve Kopp: It allows our users to integrate R into their workflows, without necessarily learning the R programming language directly. Matt Artz: What about the R user who doesn’t use ArcGIS? Steve Kopp: It’s not uncommon in an organization for a non-GIS person to need to be able to work with GIS data; for these people, they will be able to use the bridge to directly access ArcGIS data without creating intermediate shapefiles or tables, and without needing to know any ArcGIS. Matt Artz: How can people start using the R Bridge? Steve Kopp: The R – ArcGIS community samples, tutorials, and bridge are all part of a public GitHub community site similar to other Esri open source projects. And if you happen to be at the Esri User Conference in San Diego this week, this project will be discussed as part of a workshop on Wednesday.